“DEMO PLAST VEST is the event dedicated to professionals in the PLASTIC PROCESSING industry”. 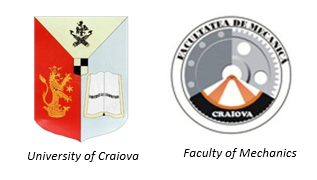 The University of Craiova presents, in “A” pavilion, stand no. 14, the experimental device for medium-pressure micro-injection moulding of composite powders, designed and manufactured within the research project PN-II-PT-PCCA-2013-4-2094 “Research of the bone substitution with biocomposite materials processed by powder metallurgy specific techniques”,acronym BONY.